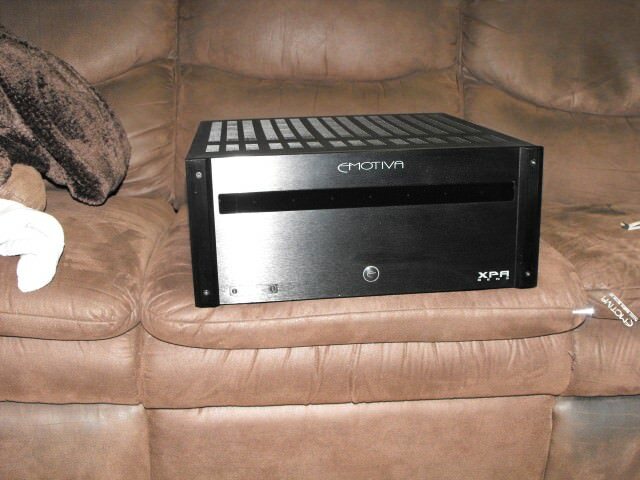 Forums » General Discussion » Home Theater » Time for a new receiver? #414322 - 08/29/15 10:03 PM Time for a new receiver? Been away from the boards for a while...don't have the time I used to to keep up on here. Anyway, been thinking about a new receiver. I have a Onkyo SR-500 bought in 2003 (when I bought my Axioms!) I looked last year, but it sounded like it made sense to wait for something with HDCP 2.2 compatibility as well as HDMI 2.0a, especially since I plan to keep whatever I get at least 10 years. I don't have a TV that needs these yet, but I expect to during the life of the receiver. Anything else I should be looking for other than these, and enough inputs to handle my stuff? I see references to DTS:X, which I assume would be a good thing, but haven't kept up with what's new to know much about it. I see Onkyo and Denon both came out with receivers recently that support the new HDMI and HDCP. I assume some other brands have too. Recommendations? Considering both Denon's and a Onkyo list at 800 or less, let's make that the top end of the budget unless there is something truly compelling to go beyond that. DTS:X is a pretty exciting "concept" at this point. Nobody has actually heard it in a home theater (well, maybe some lucky millionaire somewhere), but it is object based immersive audio like Atmos. I've heard a lot of Atmos setups, and they are quite impressive. DTS:X promises to be their version of Dolby Atmos, but with less strict speaker placement "rules." Here is the other issue with Atmos (and the pending DTS:X)... To get that immersive experience you need a lot of power. If you have, say, a 7.1 setup now, you need a receiver with at least 9.1 hookups, and possibly 11.1, but getting that many speakers powered by the receiver isn't cheap. I am still waiting for an 11.1 receiver with all 11 speakers (no longer calling them channels with object based audio) powered from the receiver without external amps. Well, at least without spending a small fortune, which is of course relative. To put it in perspective, my current Onkyo does, in my opinion, a really great job with my 7.2 setup. It ran about $1000 4.5 years ago. With advancing technology, you would think that for a little more than that, I should be able to have at least the same tech options (like Audyssey XT32), the new Dolby and DTS formats, and a couple of additional speakers internally amplified... At least 9.1, but no. It seems like you need a $2000 receiver, plus an additional external amp on top of that. No sense in going cheap on the amp since the biggest bang for the buck would usually be to power the front right and left channels, but I guess that the external amp could be used for the "overhead" sound, or at least 2 speakers of it. Still, looking at 2.5x the price for a 9.2 setup. I know the benefits of adding 4 (or more) overhead speakers, so that means at least $3000 or more to get the new Dolby and DTS options (which aren't terribly pricey since there are some cheaper $500ish USD receivers that will do Atmos and DTS:X), new HDMI and HDCP, and the critical extra amplification. I know that it isn't as scalable in price that a 5.1 receiver for $500 would mean "$100 per 'channel' and I know that it doesn't scale up to mean that an 11.1 receiver would be $1100 (at $100 per 'channel') just for amplification, but dang, it doesn't seem like it should be $3000 or more. I am not up on current models exactly as I know that I am at least another year out from immersive sound. Swapped out my QS8s for M3 on-walls as step 1 in the proccess, maybe this year (if Axiom does another black Friday sale) I will get 4 speakers for overhead duty, then next year get the receiver to drive it all. Guess I'm more behind than I thought, but why'd you replace the QS8 for M3 for on walls? A friend put this new technology into perspective. Here in Canada there are NO dvd/bluray rental places any more. The selection in most stores have maybe 2-3 shelves of selection for new releases (and walmart has the $5 bargin bin). You need to answer the question of what type of viewer you are of material. Are you the niche want the best at any cost, or are you the happy to watch what is playing on NetFlix even if the picture quality isn't always the best? Would you be just as happy to watch a movie on DVD, or go out of your way because if it isn't on 1080p blue-ray it just isn't worth watching? Buy your next receiver in relation to the answer of that question. Why buy more features than you will ever use just in case? In 3-4 years they will have HDMI 3.x and who knows what new standard to chase after. But it will likely be for a niche market that will not be cheep as it takes selling a whole lot to bring prices down. di/bi/quad pole speakers diffuse the sound too much to provide object based imaging. You really need direct radiating speakers all around. So true, so "wrong," but so true. People just don't know what they are missing with disc based entertainment and are happy with poor quality HD or 4K and lower quality audio streamed for convenience ("my" version of "so wrong" LOL). I would say that if you really like watching movies and invest in a nice display and sound, then physical media is still the way to go. I happen to be lucky enough to live less than 3 minutes from a real brick and mortar video rental store that seems to do enough business that they won't go out of business any time soon. Agreed though that if you are someone who streams mostly, then yeah, the more speakers, power, features aren't important. I am fortunate enough to have one video rental place left in our area about 30 minute walk/10 minute drive from my house. I rent mostly Blu-Rays & some DVDs but I stream nothing. Streaming is the video version of MP3's imho. Don't get me started on VHS/Beta or HdDvD/Bluray . Why anyone would settle for sub par video after investing in a big screen TV is beyond me. A few years ago we had Roger's video in the downtown core with smaller stores in the surrounding areas. We now have one store left in all of Whitehorse and they are pulling out all the stops to try and hang on. They had reduced the late fee to 10 cents a day with a 3 day rental for new movies. I spend about 20 dollars a week there on average and they are now offering any 3 movies out at a time with as many movies as you want and no late fee's for $40/month. I don't even rent DVD's only BD's and I hat the thought of streaming a movie that is inferior .These are sad times for Videophiles. Most of our movie watching is Redbox, so it is still disc. I get blu ray when it is available, but will watch something on DVD if that is all they have. We mostly watch new releases, which is what keeps us from watching many netflix movies.